I met up with Cherise, the bubbly lady behind Curly Hair Discoveries (CHD) to talk all things natural hair. We spoke about texture discrimination, representation and our natural hair experiences. I wanted to know what Cherise could add to this post regarding advice for new naturals. I am definetly not an expert and I am still learning, however I thought it would be good to share what I have learnt and hopefully it can be useful. Hopefully this post is helpful and can prepare you for the transitioning period ahead. I have been natural my whole life, but once my mum said I was old enough to do my own hair, that was when my hair started to suffer. Like a lot of now naturals I over did it with the straighteners. I had this whole thing about straight hair looking neat and just better than the natural texture of my hair. Just over two years ago I started my healthy hair journey and honestly social media, bloggers and influencers have really helped me through it all. Cherise also went on a healthy hair journey as well and has reduced the amount of heat she uses. Cherise’s healthy hair journey started shortly after joining instagram and discovering women with a similar hair texture to her. To prevent having to constant straighten her hair on holidays, Cherise would just embrace her curls during her time away from London. After her recent tip to Ibiza back in October 2016 Cherise decided to just keep the curls. We both agreed that with the help of influencers and better access to natural hair products, we had a much better experience looking after our natural hair. This is the most important one out of all five of our points. Knowing your porosity sets you right for the rest of your journey. You can also do the strand test, using a clean strand of hair and a glass of water you can find out what your porosity levels are, you can be mixture of two or you can fall into just one type. It all depends on whether or not your hair strand sinks or floats. 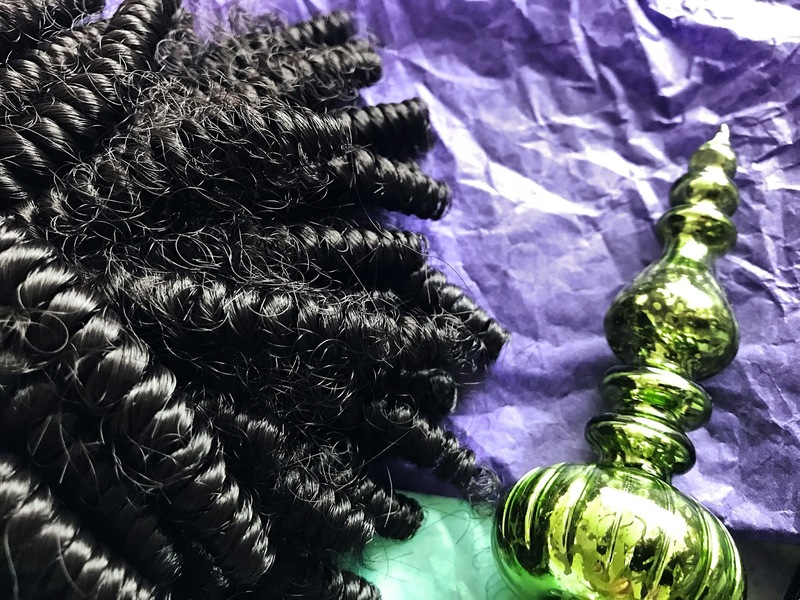 Once you know your porosity you can shop for products much easier and it will give you a better understanding of what styles are best for your hair. The LCO/LOC Method will save your life and will also save you money. Once you find out what oils and creams/leave in’s work best for you then you can stick with those products. I follow the LCO method so I always finish off my hair with an oil, I tend to go for a thick oil like Castor Oil or a mixed oil so I can get the benefits of several different oils, I highly recommend Afrocenchix Seal Oil – You can read my review here. – We both agreed that coconut oil is perfect for treatments but it is not one of our favourite oils when it comes to sealing in moisture. Still to this day I am terrible, I will sleep without a head tie and without braiding my hair and I always regret it the next day. I only have a few nights like this, the majority of the time I will twist or braid my hair before bed and always cover it with silk/satin. I have a Satin Lined African Print Bonnet from Afrocenchix which is only £12, a much cheaper alternative to a silk pillowcase and scarf. I bought my Silk Protective Scarf on sale from Antidote Street, they are originally £19. Styling your hair before bed, saves time the next day and it also helps to lock in that moisture. If I braid my hair for the week I will top it up with an oil during the week and just leave it. I can go three days before my hair needs to be re-moisturised. The more you get to know your hair, the better. A lot of us have expectations for our hair and when it doesn’t perform the way we want it to we can get disheartened. Our hair isn’t all the same so finding anyone who has the same hair as you is difficult, there are clear similarities but genetics and health play a big part in our hair. You can try out as many products and methods as you want but it’s important to know that your results will vary. It’s about finding what works for you. Approach transitioning and the natural hair journey with an open mind, learn and understand your hair type, not just your pattern but also what ingredients your hair and scalp like. I am learning the importance of looking after my scalp now and it has helped with the rest of my hair care. I wanted to put enthuses on embracing your hair as it is because it can get really difficult when everything around us points towards a certain type of look.